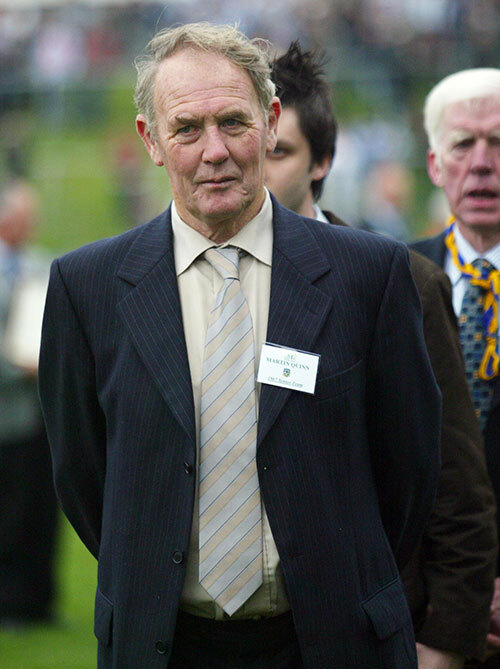 The Quinn family name holds a special place in Meath GAA folklore. The eldest of the famed clan, Martin Quinn, wore the Meath number three jersey with pride and recalls a glorious period for club, Kilbride, and the Royal County. As rags to riches stories go, there are few to compare with the footballers of Kilbride in the sixties and seventies. The Meath/Dublin border club emerged from the backwaters of the Meath GAA scene to capture five SFC titles and their successes were backboned by the Quinn brothers - Martin, Jack, Gerry and Jimmy. 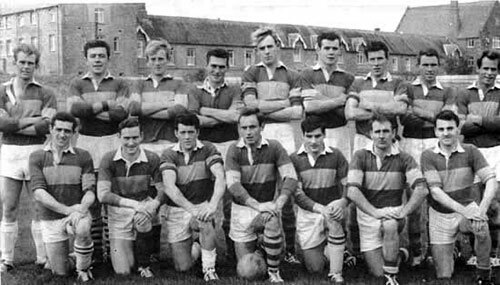 The junior championship success of 1960 laid the foundations for their first Keegan Cup triumph in 1964, at the expense of Gaeil Colmcille, and they repeated the feat in '67, '69, '70 and '71. Kilbride's climb up the ladder didn't go unnoticed by the county team selectors and Martin, Jack and Gerry all received the call up to county duty. Jack is widely considered to have been one of the greatest ever exponents of full-back play and he learnt the tricks of the trade from his eldest brother who few full-forwards will ever recall having marked with any great fondness. 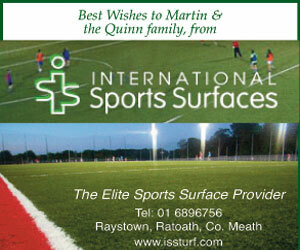 Having represented the county minors for two years, Martin made his senior debut in the green and gold jersey in a tournament game against Kerry in 1958 and six years later he lined out at full-back as Meath ended a 10-year wait for provincial glory thanks to a 2-12 to 1-7 victory over Dublin. Fast-forward three years and Jack, Martin and Gerry celebrated Meath's third All-Ireland SFC final success when Cork were dispatched in the Sam Maguire Cup decider. "They were great times," Martin, a farmer by occupation, says. "We have memories that you will never forget and will bring to the grave with you. Growing up in our house it was football morning, noon and night. 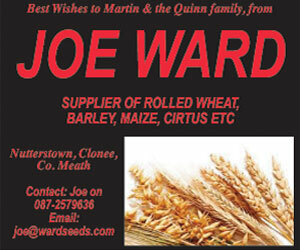 "The highlights were the All-Ireland win and the trip to Australia that followed and then. with the club, we came from nowhere to win five senior titles as well as intermediate and junior and Feis Cup titles with the same bunch of players and all in the space of 10 years." Martin rubbed shoulders with the top players of the day who were the toughest opponents he came up against? 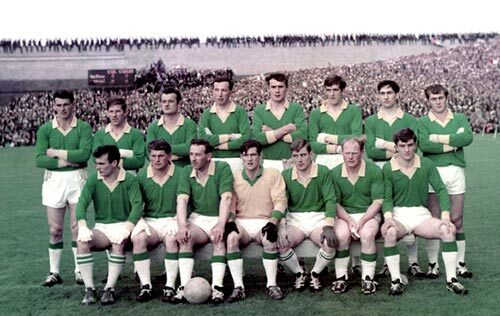 "The way I looked at it was every opponent I went out to play against was a difficult one but there were the likes of Lar Foley and John Timmons from Dublin, James McCartan (Down), Bobby Burns of Longford and Con Sullivan from Cork who stood out." The modern game is practically unrecognisable to the game that Martin and his brothers grew up playing and excelling at and he doesn't think that's a good thing. "To be honest I'm not a fan of the modern game, I prefer the old style. I'm very much against these cards, they are ruining football in my opinion for what it's worth. "And high fielding has disappeared. It's all about the breaking ball and running off the ball now. It's a different style of game that what I was used to. "I used to love going to Croke Park and watching Paddy O'Brien's high fielding." On the club front, Kilbride are struggling to make an impact at junior level these days but Martin is optimistic that the injection of young blood will reap dividends in the not too distant future. "There's great work going in at underage level by a lot of people and we've a hard-working committee in place so I would be hopeful." Meanwhile, the heavy defeat suffered by Meath in this summer's Leinster SFC final against Dublin (1-10 to 3-20) came as a great disappointment to Martin. Not least because the Meath versus Dublin rivalry is acutely felt in his neck of the woods. "Two bus loads left Kilbride for the game and it was half full of Dubs. They've be doing it for years now and there's great craic. "They couldn't have done it 40 years ago!" he concluded laughing.